Jacob realized someone was knocking at the door to his apartment. It was hard to tell the difference between the pounding sound coming from the front room and the painful thumping that was throbbing through his skull. “Go away,” he tried to shout, but the raspy croak that came out of his throat was barely louder than a whisper. He thought it was unlikely whoever was out there had heard him. Jacob had been feverish for days, barely rising from his bed, ever since he’d been stung by that strange insect. He had lost all track of time in his delirium, and was unsure what day it was. He was aware of a sickly sweet smell in the air, but wasn’t sure of the source. His throat burned and it hurt to swallow. Not that he’d swallowed much; even water came back up immediately. His neck felt stiff and possibly swollen. His right breast was on fire at the site of the sting, and his left hand… Jacob didn’t want to think about his left hand. The pounding at the front door came again, louder and more insistent. A muffled voice shouted at him from the hall outside, demanding to be let in. He rose sluggish from his damp mattress and bed sheets to stumble toward the door, but tripped over something heavy on his bedroom floor. As he slammed to the floor, he caught sight of a red dress, and wondered briefly why a woman was lying on his floor. He had a vague memory of calling his girlfriend Linda when he first woke up after the sting, but he didn’t remember her having come over. Or of her having fallen asleep on the floor. He didn’t understand why she hadn’t responded to him tripping over her. He thought again about the strange insect that had stung him. It had looked like some sort of mutant wasp, glossy and metallic, but with wings more like those of a dragonfly, with a head like a cuttlefish. 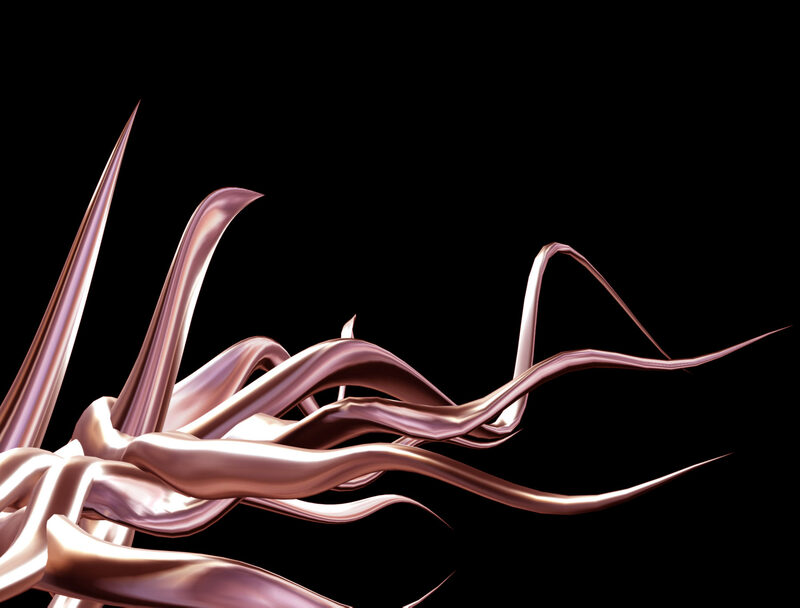 Instead of mandibles or pincers, it had drooping, smoke colored tentacles. Also, it had been large – at least six inches long. When he’d grabbed it off of his chest and crushed it, it sprouted a dozen or so long spiny quills that all pierced his hand. His entire left arm was now a grotesque, knobbled and useless club. It felt strangely heavy, but was one of the few parts of his body not wracked with pain. Jacob pushed himself up off the floor and stood, his legs wobbling underneath him. He tired to call out again, to tell them he was coming, but his voice choked off in his throat. He coughed to try and clear whatever obstruction had caught in his windpipe, but nothing came. He tried to inhale, to no effect. He began to panic, unable to breathe. “Open this door, or we’ll break it down,” shouted the voice from outside. Trembling, Jacob tried once more to cough, but instead fell a large wet mass fly out from his mouth, as though he’d vomited. But instead of hitting the floor, the mass just hung from his face, oily and writhing. His whole head felt like it was splitting open at his mouth and he tried to scream. The high-pitched sound that he made,as the skin peeled away from his skull, was inhuman. At that moment, the front door burst open and two police officers entered with their guns drawn. Or, they wore police uniforms, anyway. Through his now multi-faceted eyes, Jacob thought they looked more like lizards than people. It was the last conscious thought he had before he attacked the intruders. Globs of highly acidic phlegm flew from the beak hiding at the center of his face-tentacles. The phlegm chunks sizzled and hissed where they hit the wall, dissolving the drywall and wood frame underneath. One gob of spit hit one of the lizard-officers in the chest to eat away cloth, flesh and bone with equal speed. The lizard thing scream in pain briefly before it died. The other two officers opened fire with their guns, and massive shotgun slugs ploughed through Jacob’s mutating body. He roared and charged, and almost reached them before the massive slugs tore him to pieces. He slumped to the ground, immobilized, but not dead. Though it had been blasted into ashen, grey chunks, splattered on the apartment walls, Jacob found that his brain was still functioning, after a fashion, and his consciousness still functioned. The pain of his mutation and transformation was nothing compared to the pain of being discorporated and dismembered by shotgun blasts. He could hear the lizard-cops talking as they examined the aftermath of the encounter. Soooooo creepy! Sooooo gross!! Love it! This entry was posted on October 13, 2015 by Eclectic Voices in Fiction and tagged #newfiction, fiction, Halloween, Sean Kozma.